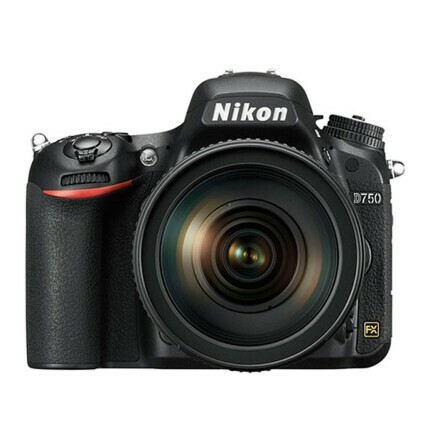 The Nikon D750 is a perfect blend of compact designing and cutting-edge technology. 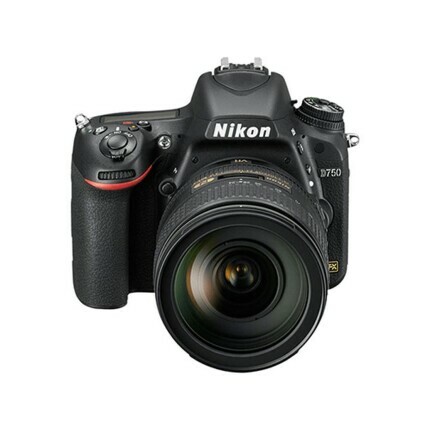 This full-frame camera is built to deliver top-quality performance and easy to handle convenience. With a 24.3 MP FX-format CMOS sensor, the camera gives you exceptional details and quality in every picture you take. The EXPEED 4 image processor enhances the response time and burst speed of the camera. It also gives you richer and vibrant pictures by improving the color reproduction of the camera. The built-in WiFi of the camera lets share your work to the world wirelessly and instantly. 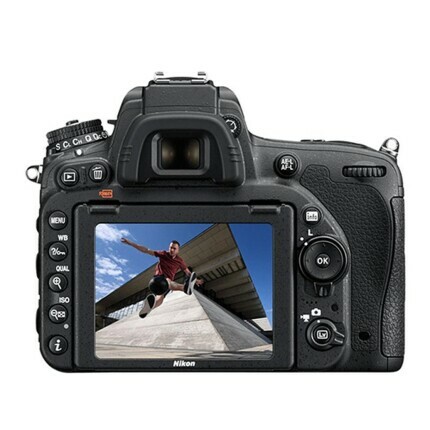 The camera also features a 3.2-inch TFT LCD monitor that offers an angle of view of around 170°. This helps you to compose shots perfectly even in tricky locations. 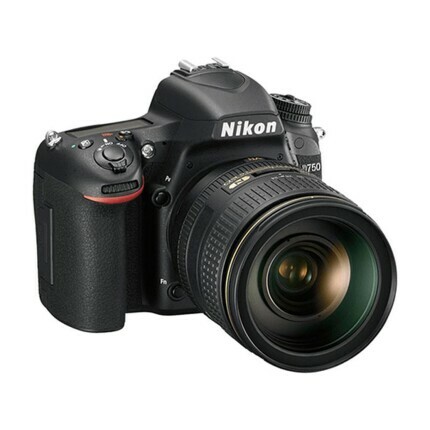 The camera is compatible with FX as well as DX format lenses providing you with a wide range of NIKKOR lenses that you can use with the camera. 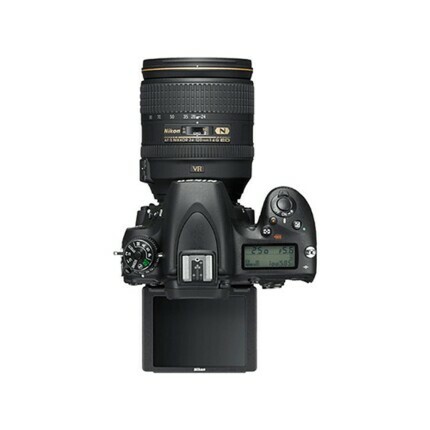 This camera kit includes an AS-F NIKKOR 24-120 mm f/4G ED VR lens. The 24 mm to 120 mm focal length of the lens enables you to compose wide angle as well as mid-telephoto shots with ease. The VR image stabilization system eliminates any blur caused by minor hand movements and gives you crisp picture quality. The silent wave, motor-based autofocus enables fast and accurate focusing. 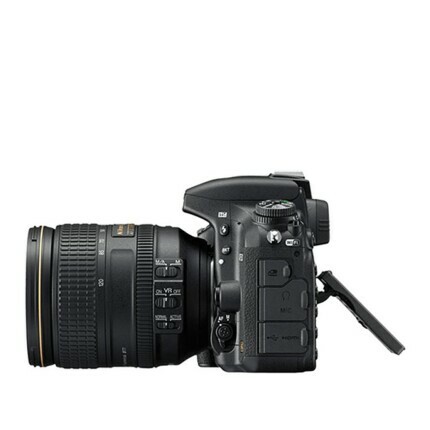 The camera also features a 51-point AF system that offers precision focusing. It has 15 cross-type points that ensure better phase detection vertically and horizontally. 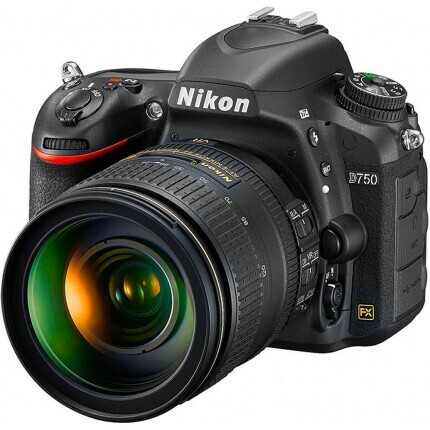 The 24.2 MP FX-format CMOS sensor provides exceptional image quality. This sensor ensures better light gathering, helping you produce more detailed images even in low lighting conditions. The EXPEED 4 image processor offers a faster response time. It gives you a burst speed of 6.5 fps in full resolution. The processor also enhances the low light performance of the camera. The 3.2-inch TFT LCD screen delivers a resolution of 1,288,800 offering a bright and clear display. The variable-angle feature allows you to compose frames easily even in tricky locations. The shutter speed of the camera is 1/4000 to 30 seconds. This helps you to compose fast-moving subjects like a flying bird or race car with full details and crisp clarity. The camera also has a bulb feature, which provides the photographer with complete control over the shutter speed. 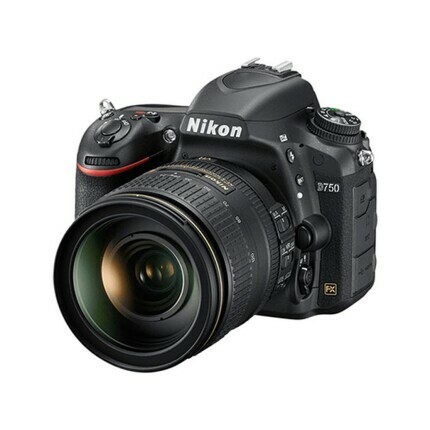 You get bright and well-lit pictures in any lighting condition with an ISO range of 100 to 51200. The active D-lighting produces appropriate contrast and brightness giving more natural and even tones to the picture. The camera captures videos in full HD 1080p at a frame rate of up to 60 fps, enabling you to compose a magnificent, cinematic video output. The camera has a monocoque body that does not require a separate chassis, thereby reducing the weight of the camera. The new carbon fiber material makes the camera strong, light, and rugged. The built-in WiFi of the camera lets you share your work wirelessly from the camera. It also offers functions such as remote triggering with a smartphone. Functions like HDR and time lapse let you explore your creative side with unconventional photography styles. The minimum and maximum distance of effective flash. Allows camera to connect directly with a compatible photo printer and make prints without the need of a computer. A terminal for video output. The hardware within a computer system which carries out the instructions of a computer program by performing the basic arithmetical, logical, and input/output operations of the system. Refers to a thin translucent plate of glass that rests in the pentaprism of a DSLR camera that allows a user to compose images in the viewfinder. Some cameras have several screens (both OEM and 3rd party) that can be interchanged. Rated 3.0 out of 5 stars.